Senators are negotiating safety provisions in an autonomous vehicles bill that proponents insist could advance before lawmakers leave Capitol Hill ahead of the midterm elections next month. A top Senate Commerce Committee aide told Transport Topics the discussions over whether to advance the legislation were ongoing, with no specific end date. Committee Chairman John Thune (R-S.D.) is the bill’s co-sponsor, with Sen. Gary Peters (D-Mich.), who also has a seat on the committee. Negotiators resumed talks on the bill after weeks spent debating the nomination of Supreme Court Justice Brett Kavanaugh, who appeared before the Judiciary Committee and denied sexual misconduct accusations. Thune assured reporters Oct. 10 that lawmakers would remain focused on passing policy bills through the end of the year, emphasizing the Republican-led Senate did not fracture after the tense, partisan nomination battle. “It was a brutal nomination fight and there’s been some suggestion that maybe the Senate now is broken, as a result of all that. But I would just point out that while all that was going on, we were continuing to process important legislation and get big bipartisan votes on bills that are important to the American people,” Thune said. “It’s been a very productive time here and we continue to do the important work of the American people, and the Republican Senate is committed, as we move forward, to continue to take on the challenges that face this country and move legislation that will put policies in place that are good for economic growth, good for jobs and good for our country,” the Commerce chairman added. Despite garnering bipartisan backing in committee, several senators, such as Democrats Dianne Feinstein of California and Ed Markey of Massachusetts, have questioned key provisions related to safety. A Democratic aide familiar with the legislation told Transport Topics recently that negotiators were planning to meet Oct. 11 in the office of one of the bill’s sponsors to address concerns in the hope of reconciling their differences. Opponents of the bill would welcome the inclusion of a sunset provision, perhaps of five years, the Democratic aide added. Overall, the measure would allow developers to test and market vehicles with the aim of facilitating their advancement in the marketplace. The House passed its version earlier this year, and neither version includes trucking-centric provisions. 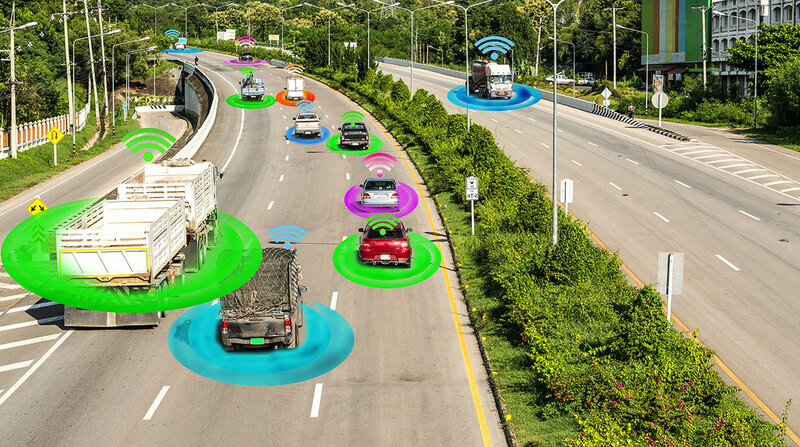 If a final autonomous vehicles legislation fails to advance to President Donald Trump’s desk prior to Congress’ adjournment sine die, then the current bill becomes invalidated and policymakers would need to kick off the process on a new bill next year. Any autonomous vehicle legislation next year likely would be different if Republicans lose control of either chamber. Earlier this month, Transportation Secretary Elaine Chao unveiled her department’s policy update of autonomous-vehicle technology guidelines with an emphasis on promoting safety, remaining technology-neutral, modernizing regulations, encouraging consistent regulations and proactively preparing for automation. “The safe integration of automated vehicle technology into our transportation system will increase productivity, facilitate freight movement and create new types of jobs,” Chao claimed. American Trucking Associations has been leading a push for policy specific to commercial vehicles to be included in the congressional legislation. Last year, the trade federation announced policy positions touching on the emergence of automated driving technologies. For instance, ATA emphasized the promotion of highway safety and the flow of commerce, and stressed that federal officials become solely responsible for autonomous regulations. ATA also argued that federal investments in infrastructure and connectivity are needed to promote the technology. Around the country, firms are testing autonomous vehicle technology. States, such as Nevada, Colorado, Georgia, Ohio, Arizona and Michigan, have facilitated the testing by designating areas for those firms. Autonomous vehicles could see mainstream inclusion in the marketplace in as early as 10 years, proponents of the technology assert.